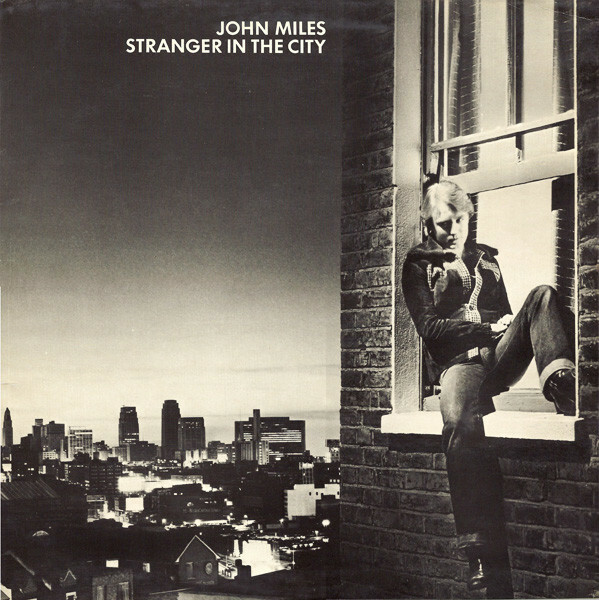 Forty years ago in 1976, John Miles released his most successful single Music. Since then, every time John Miles’ name comes up in conversation, Music is mentioned. That must be frustrating for the English singer-songwriter. That must be frustrating for John Miles, who released ten albums between 1976 and 1999. This is a reminder that there’s much more to John Miles than Music. That’s what John Miles has spent over forty years making. 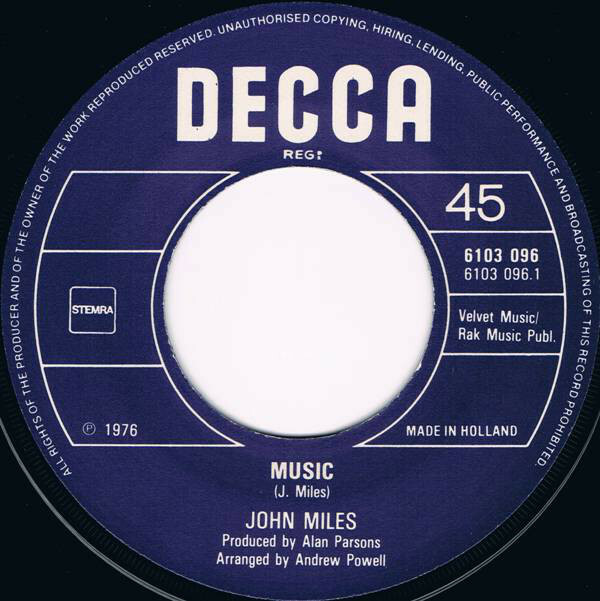 After More Miles Per Hour, John Miles parted company with Decca Records. After just four years and four albums, The Decca Years were over. Little did John Miles realise that they would be the most successful and productive period of John Miles’ career. Never again did he reach the same heights. That’s despite releasing another six studio albums. The first of these albums was Sympathy in 1980. By then, John Miles was still under contract to Arista in North America. Clive Davis the founder of Arista, had spent $50o,000 buying out John’s contract from Decca Records 1977. 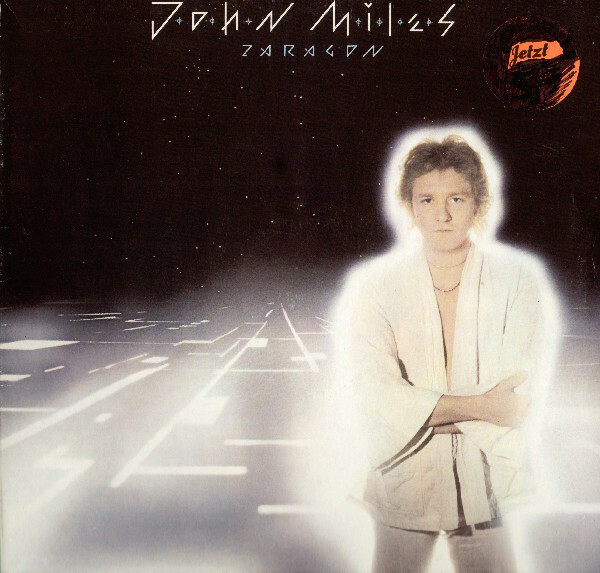 Zaragon in 1978, was the first of John Miles’ albums to be released by Arista in North America. However, the followup to Zaragon, MMPH-More Miles Per Hour hadn’t been released in North America. Instead, Sympathy became the followup. For John Miles’ new North American album, eight songs were chosen. This included five songs from MMPH-More Miles Per Hour, including It’s Not Called Angel, We All Fall Down, C’est La Vie, Can’t Keep A Good Man Down and Fella In The Cellar. They were joined by three new songs penned by John Miles and Bob Marshall, Where Would I Be Without You, Sympathy and Do It All Again. These three new songs were recorded by John’s band, and a new producer. When MMPH-More Miles Per Hour had been recorded, it was produced by Alan Parsons. His services were constantly in demand as a producer. So with Alan Parsons unavailable, producer Gary Lyons was drafted in. He and John Miles and his band began work. It featured drummer Barry Black and bassist Bob Marshall were joined by keyboardist Brian Chatton. John Miles played keyboards, guitar and added vocals. Once the session was complete, Sympathy was scheduled for release later in 1980. Before that, critics had their say on Sympathy. Mostly, the reviews were positive. Despite this, Sympathy failed to chart in America. It was a case of so near, yet so far, when Sympathy reached just 202 in the US Billboard 200. This hastened John Miles’ departure from Arista. After the end of Arista years, the next few years found John Miles move from label to label, in search of commercial success and critical acclaim. This began at EMI, where John Miles released Miles High. For John Miles, signing to EMI was a fresh start. He hadn’t released an album in Britain since MMPH-More Miles Per Hour in 1979. 1980 had been spent fulfilling his contractual obligations to Arista. 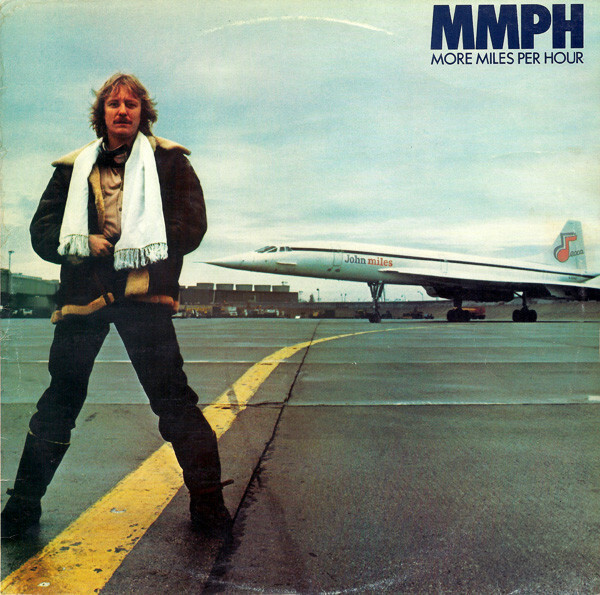 This meant John hadn’t released an album in Britain and Europe since MMPH-More Miles Per Hour in 1979. Now that John had fulfilled his contractual obligations to Arista, he could begin work on his fifth solo album. John Miles and Bob Marhshall began writing what would become Miles High. They wrote eleven new songs. These song were recorded at Pye Studios, London, during May 1981. When the recording session began, John Miles’s band featured drummer Barry Black, bassist Bob Marshall and keyboardist Brian Chatton. John Miles played keyboards, guitar and added vocals. He also took on a new role, that of producer. 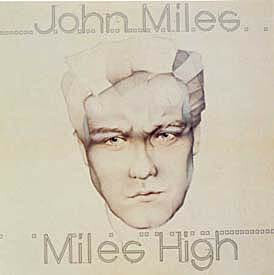 Miles High was the first album John would produce. Some may have seen this as a gamble. However, John had worked with some top producers, including Alan Parsons, so must have felt qualified to produce Miles High. Critics and record buyers would have the final say. Reviews of Miles High were mixed. What most critics recognised, was that John Miles was a talented singer-songwriter. Some critics praised Miles High, where pop, R&B and rock were combined with jazz and reggae. Seamlessly, John Miles and his band switched between genres. They came into their own on the ballads Foolin’ and Peaceful Waters. However, other critics weren’t won over by Miles High, feeling the album was “bland” and unfocussed. What however, would record buyers think? When Miles High was released in August 1981, John Miles was sent on a thirteen date UK tour. Alas, this didn’t help sales of Miles High, It stalled at just ninety-six in the UK. This was the last John Miles album that charted in the UK and twenty-eight in Sweden. Two singles were released from John Miles, but neither Turn Yourself Loose, nor Reggae Man charted. For John Miles this was a huge disappointment. EMI kept faith with their latest signing. So much so, that EMI promised John Miles that a top producer would be employed to produce Play On. Eventually, EMI settled on Gus Dudgeon, who had been working with Chris Rea, Elton John and Elkie Brooks. However, the addition of Gus Dudgeon wasn’t the only change that was made during the recording of Play On in 1983. While Bob Marshall cowrote the ten songs on Play On with John Miles, that was his only role in the album. John’s usual band were replaced by session musicians. This must have been a huge blow for musicians who had spent the best part of ten years working with John. Recording of Play On began at Maison Rouge studios, in London. John Miles’ ‘band’ featured John Miles included drummer Graham Jarvie, bassist Paul Westwood and guitarist Martin Jenner. Producer Gus Dudgeon ‘played’ the tambourine, while John’s role was reduced to taking charge of the vocals. This was just the latest example of EMI seeming to call the shots on Play. 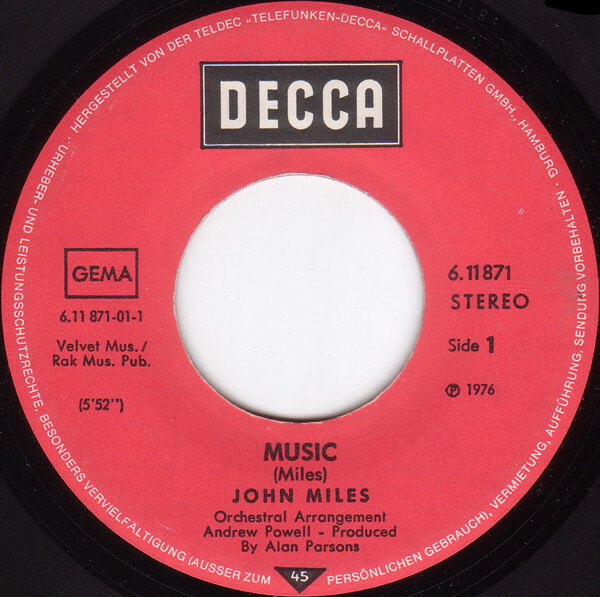 EMI had chosen the producer, and were even dictating the direction that John Miles’ career would head in. This was ironic, as one of the songs John and Bob Marshall had written for Play On, was The Right to Sing. It was about record companies wanting to decide which songs artists recorded and released. The Right to Sing become the lead single from Play On, but reached just eighty-eight in the UK charts. It was John’s last single that charted. This didn’t augur well for Play On. Just like Miles High, reviews of Play On were mixed. Some critics felt the album was an improvement on Miles High, and Gus Dudgeon’s experience resulted in a polished and accomplished album. Meanwhile, Bruce Baxter’s orchestral arrangements were the perfect backdrop for John’s vocals, as breathed life and meaning into the lyrics. However, others critics weren’t convinced, feeling that the album was too polished. Again, record buyers had a the final say. When Play On was released in 1983, it failed to chart in the UK. The only place Play On charted, was Sweden where it stalled at twenty-eight. It was a huge disappointment for John Miles. Things didn’t improve when Song for You was then released as a single, but failed to chart. However, things were to get even worse for John Miles when after touring Play On he was dropped by EMI. The EMI years were over for John Miles. Despite being without a record label, John Miles and Bob Marshall began to write the nine songs that would feature on Transition. Meanwhile, John’s manager began looking for a new label. With his manager looking for a new label, John Miles and his began concentrated on playing live. They had been booked to play a show on the island of Ibiza. After the show, John met, and began taking to Phil Carson. Little did John realise that Phil Carson was an executive at Atlantic Records. When he heard than John was without a recording contract, Phil Carson signed John Miles to a new record label, Valentino. John was back and was ready to record a new album. Having used session musicians on Play On, John Miles wanted his own band to accompany him on Transition. Alas, the only member of John’s old band that featured on Transition, was bassist Bob Marshall. He was joined by former Jethro Tull drummer and percussionist Barriemore Barlow. John Miles played guitar, keyboards and lead vocals. To produce the album, John had settled on Trevor Bradin, That had been the plan. It turned out that Trevor Bradin had too many commitments to produce Transition. He produced two songs, Blinded and I Need Your Love, before realising that he hadn’t the time to produce Transition. Not wanting to delay the album until Trevor Bradin was free, John Miles decided the recording with engineer Pat Moran should produce Transition. He produced six tracks, with Beau Hill producing the closing track Watching On Me. With the album complete, Transition was scheduled for release later in 1985. Before that, critics had their say on Transition. It received mostly positive reviews. There were the a few dissenting voices, but mostly, critics felt John Miles was heading in the right direction. That proved not to be case. When Transition was released in 1985, it failed to chart. The singles faired no better, with neither Blinded nor Need Your Love coming close to troubling the charts. 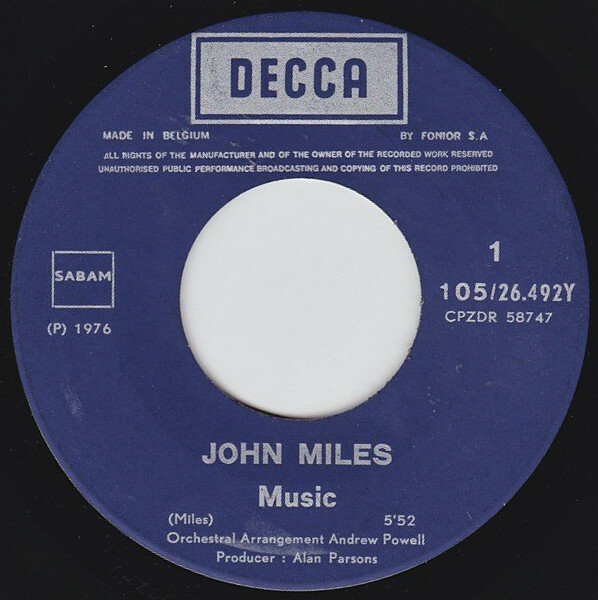 John Miles never released another album for Valentino, Indeed, it would be another eight years before he retuned with a new album. John Miles never released an album for eight years. 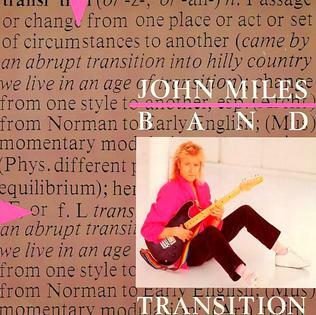 After the release of Transition in 1985, John Miles didn’t release another album until Upfront in 1993. However, John was kept busy and worked on albums with Joe Cocker and Jimmy Page. John became one of the guest vocalists on several albums by The Alan Parsons Project. Then when Tina Turner headed out on tour, she asked John to accompany her. However, eventually, John decided to record a new album. When John Miles began work on what became Upfront, there was no sign of Bob Marshall. They cowrote seven albums, but on Upfront, John decided to write the thirteen songs himself. Then he put together a small band that would record the album what was his first album in eight year. For the Upfront, John Miles would play guitar and add the vocals. His small band included a rhythm section of Jack Bruno and bassist Neil Stubenhaus. They were joined by keyboardist Ollie Marland. Producing the album was American mix engineer Chris Lord-Alge. Once Upfront was recorded it was released later in 1993. 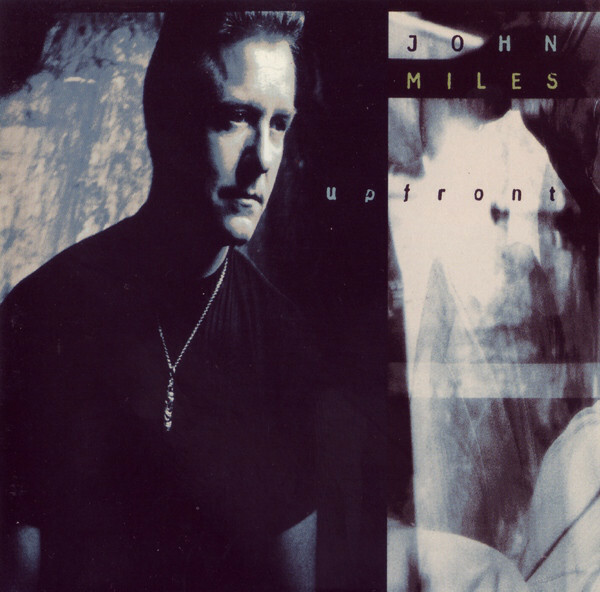 After an eight year absence, John Miles returned with Upfront. It received mixed reviews from critics. Some were won over by the album, while others felt it was one of John’s weaker albums. This didn’t bode well for the release of Upfront. When Upfront was released in 1993, it failed to chart in the UK. The only place Upfront charted, was in Switzerland, where it reached twenty-six. Two singles were released from Upfront during 1993, but neither One More Day Without Love, nor What Goes Around charted. Oh How The Years Go By was then released in 1994, but it too failed to chart. This was the last that was heard of John Miles until 1999. 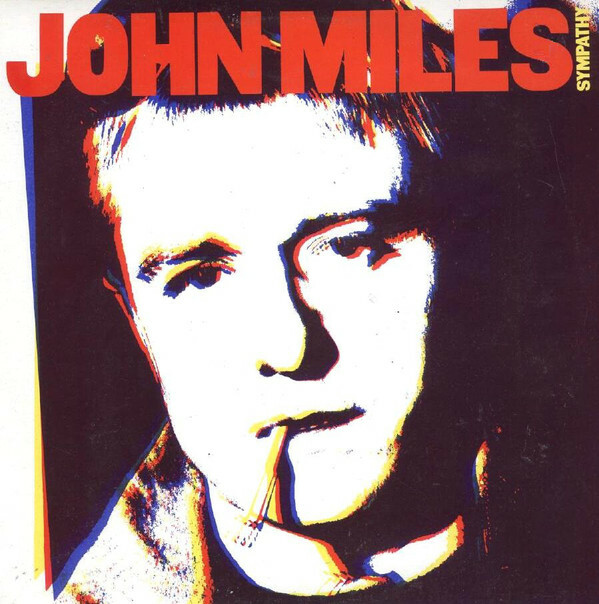 When John Miles returned in 1999, it wasn’t with a studio album. Instead, it was with the soundtrack to a musical about the life of novelists Catherine and Tom Cookson. It had been written by playwright Tom Kelly, who had worked with John on Machine Gunners. John Miles agreed to write the soundtrack, and enlisted the help of Sara Murray. John Miles and Sara Murray wrote a total of sixteen songs. They then went into the studio, where Sara and John shared the lead vocals. Meanwhile, John laid down all the guitar and keyboard parts. Once the sixteen songs were recorded, they became the soundtrack to Tom and Catherine. The soundtrack to Tom and Catherine was released in 1999, by Orange Records. This proved to be the last studio album that John Miles released. Over a twenty-three year period, John Miles had released just nine studio albums. 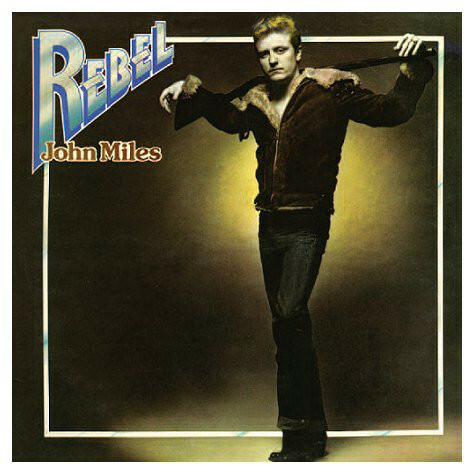 His first four albums, including his 1976 debut album Rebel, 1977s Stranger In The City, 1978s Zaragon and 1979s MMPH-More Miles Per Hour were the best albums of John Miles’ career. They were recorded when John Miles was signed to Decca Records. That was the most productive and successful period of his career. After his departure from Decca Records, John Miles never reached the same heights. Nor did John Miles enjoy the same commercial success. While his two albums for EMI, Miles High and Play On divided opinion, several songs showcase a truly talented singer-sonngwriter. The problem was, John Miles two EMI album lacked the cohesion of earlier albums. That wasn’t John’s fault. Especially on Play On, where EMI seemed to be calling the shots, and even paired him with session musicians. As a result, John Miles never again did he record with tight, talented band that had served him so well for five albums. 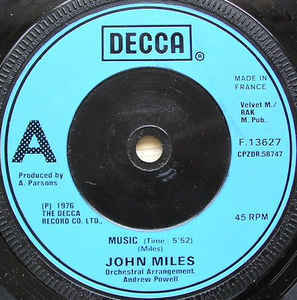 This included the quartet of albums John Miles recorded during the Decca Records’ years. It’s hard to believe that The Decca Records years began forty years ago in 1976. Since then, John Miles has recorded nine studio albums and continues to play live. He’s also regular at the Proms Concerts across Europe, where he will regularly play his classic single, Music. That’s the song that’s become synonymous with John Miles. However, his career has spanned six decades and lasted over forty years. This is a reminder that there’s much more to John Miles than Music. ← JIMMY HOLIDAY-THE ACCIDENTAL SINGER-SONGWRITER.